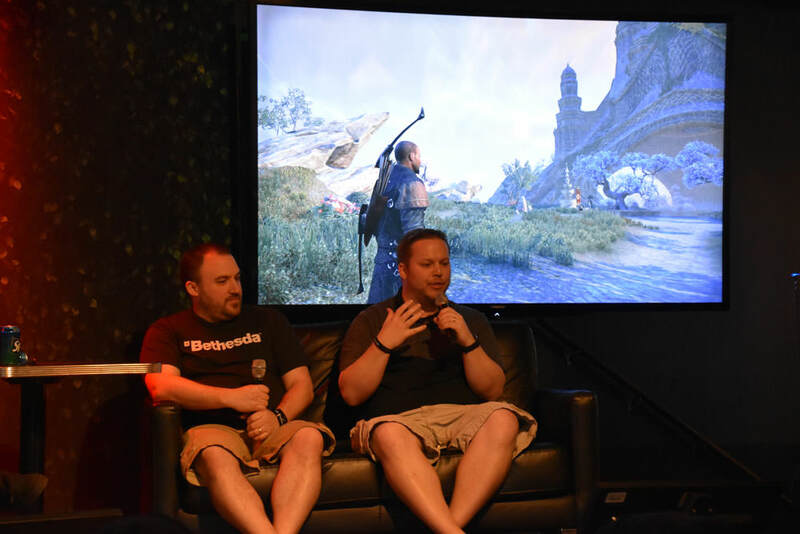 As soon as registration opened for ESO: Summerset demos for the day, I reserved a slot and headed down to the convention center. (I had also wanted to reserve a spot for The Last Guardian VR, but in the 30 seconds or so that it took me to finish the ESO reservation, all the VR demos were filled.) I played some Pokemon Go on the bus on the way - I've only recently gotten a smartphone and have gotten really into the game - and was pleasantly surprised that Unown P, A, and X were spawning in the general area of the convention center. After seeing how long the line was to get in at the opening time, I was relieved that there was a separate line for media badges that allowed us to get in with minimal waiting. 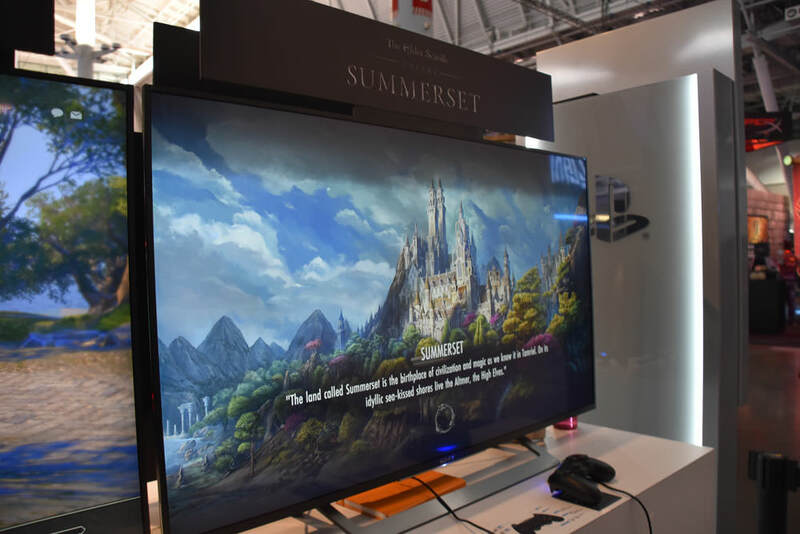 The first thing I did was head to the Discord booth to get the pin they were giving away, and by the time I'd gotten over there and finished with that, it was nearly my turn for the ESO: Summerset demo. I decided to try an impromptu stream of this short demo live on our Facebook page (which didn't turn out that great - the wifi cut out in the middle, among other things - but at least it was worth a try.) I first tried the Psijic Order skill line, and Time Stop did have a pretty cool animation, but due to my unfamiliarity with both the PS4 controls and the skill line itself, I wasn't able to set off any of the others and died easily. I decided, instead, to explore a bit, so I ran around Alinor a little, and then decided to look for the jewelry crafting. I found the jewelry crafting table and tried to use it; I could see how it worked, but lacked any materials to be able to actually try it. I went back to exploring Alinor before my time was up. 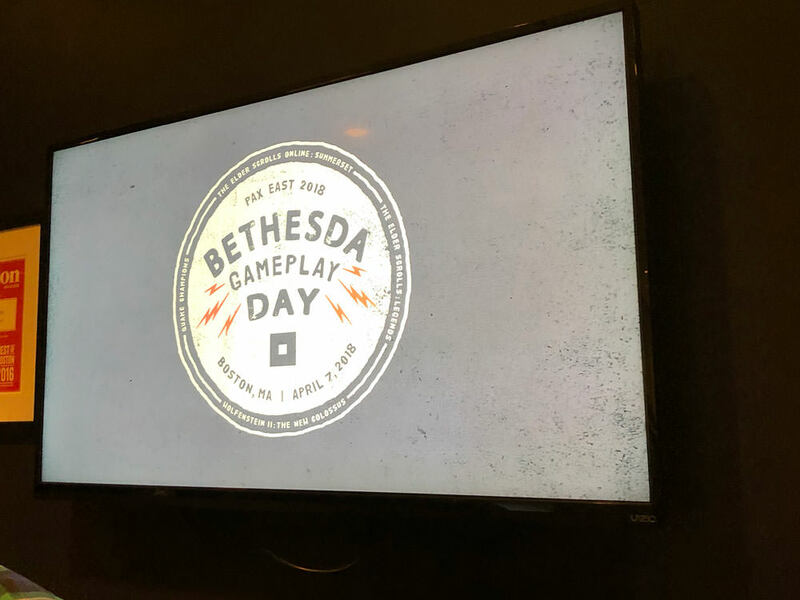 I met up with baratron, Wicked_Shifty, and Dave (who had flown down for the day) for lunch, and afterward we headed back over to the convention center: the Bethesda Gameplay Day event started at 1:30 PM and was held in the hotel next door, in their comedy club called Laugh Boston. There was a long line, but Gina came to the end of it and said that "VIPs" - people who had signed up early online, like us - had a separate line, which was shorter and moved a little bit faster. When we gave our names we were each given a wristband. Ours were silver, and had two tear-off tabs labeled "drink" (good for any drink of our choice) and one labeled "t-shirt", while the red ones (people who hadn't signed up online) had "food" rather than "t-shirt". It turned out that the silver ones were able to go as many times to the food tables as we wanted - which I completely forgot about, unfortunately, until hours later when I started getting hungry and the food was already gone. The t-shirts were gray, with the round logo they'd made for the event. 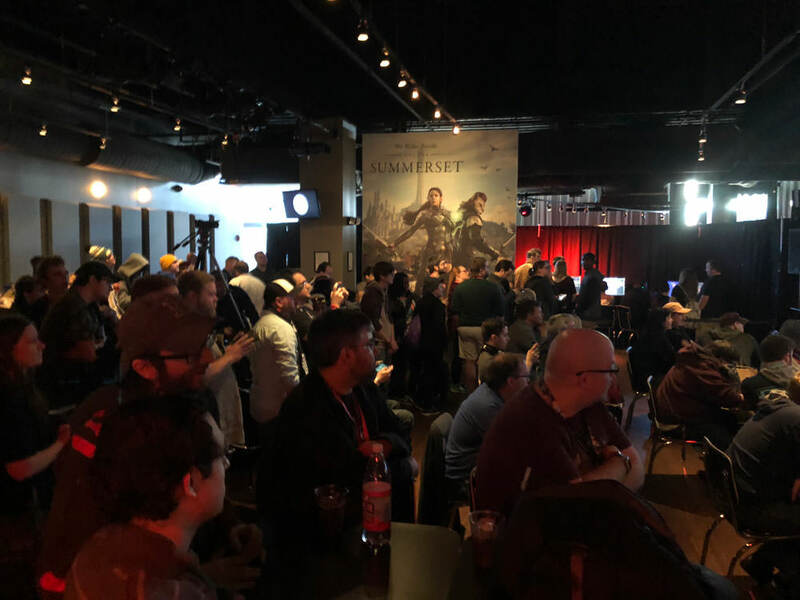 There was a bar area at the event which contained the food table, and in the main room there were different stations for ESO:Summerset, ES:Legends, Wolfenstein 2, and Quake Champions. Each had a large, floor-to-ceiling banner with key art. You could get a hat at the ESO station (black with the ouroboros in white) and gloves at the Legends station (black with white touchscreen-compatible points, and the Legends text on a patch on it) for trying the games. Quake Champions had a scarf that you'd get if you won one of the mini-tournaments when trying it out. 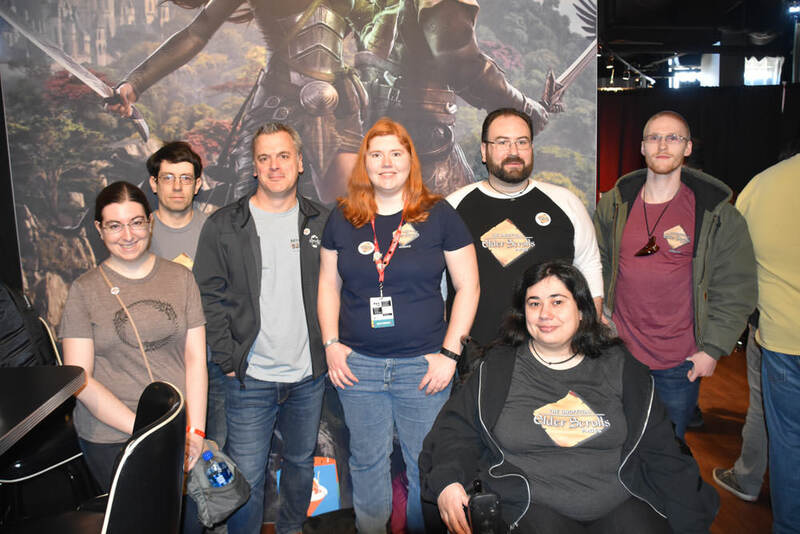 We got a chance to say hi to various Bethesda and ZOS employees, including Pete Hines (who mentioned that he uses the UESP regularly). 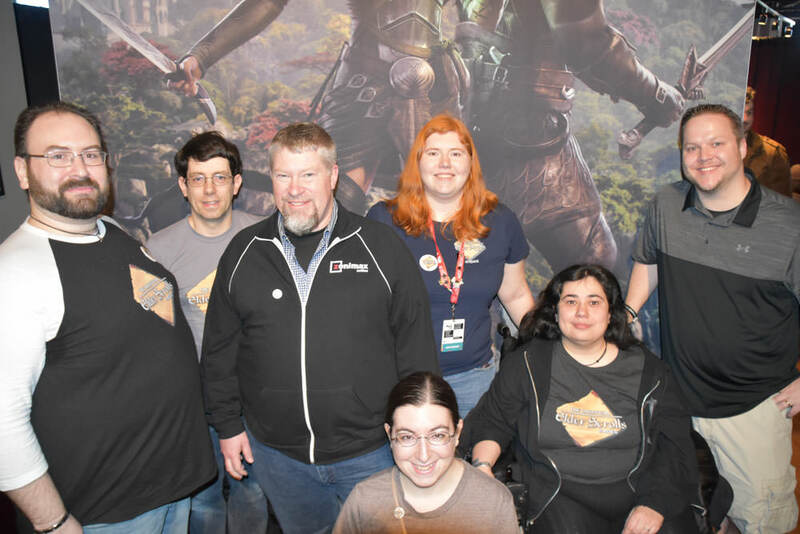 When it got closer to the time for the interview I'd scheduled via email (in response to an email Bethesda had sent to media-badge-holders, offering appointments), it didn't seem like ZOS had been told about it, but said that they'd definitely be able to have Matt Firor talk to us. 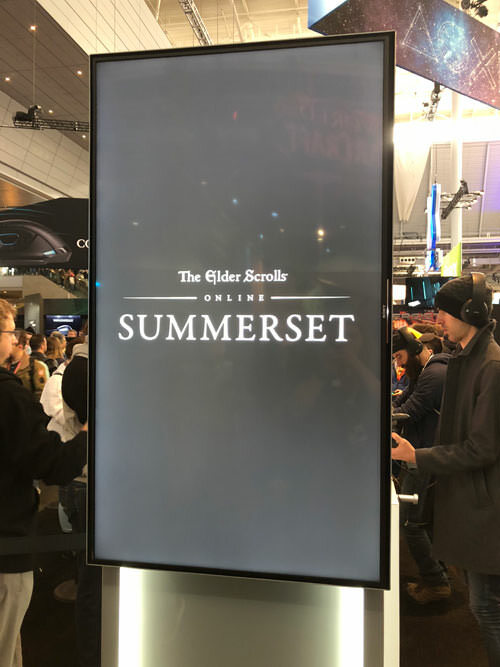 I got to try out the Summerset demo twice during the event: once after the long line, and once toward the end of the evening when the line was nearly nonexistent. This demo was on PC, and though it was the same build we'd seen on PS4, we were not allowed to film or take pictures. Template characters also apparently crashed the build, so I had to create a new one and go through the tutorial again. 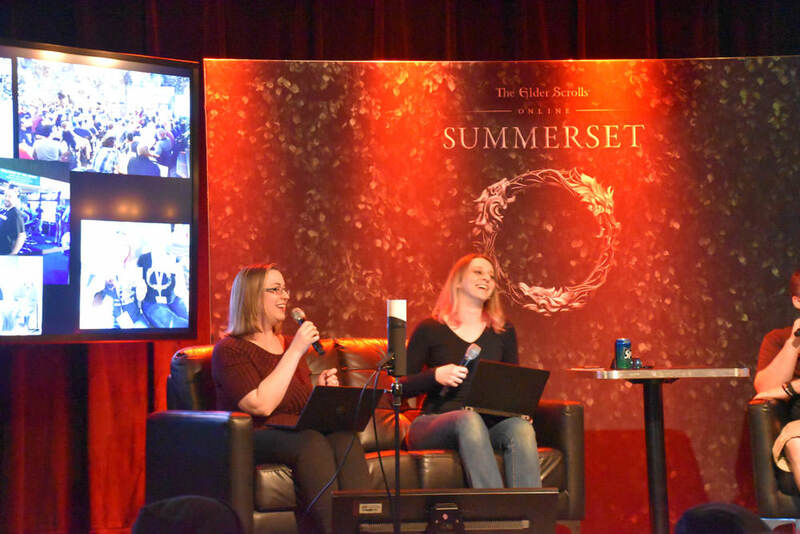 During the first demo I ran as far north as possible, and eventually reached the northern coast of Summerset. The rocks reminded me a bit of Wrothgar, and the beaches had coral everywhere: there were also interesting details, like a little hideaway I found on the side of a cliff reachable only by a narrow plank "bridge". I also saw a group boss, which was a trio of gryphons. In the second demo I went as far south as I could. 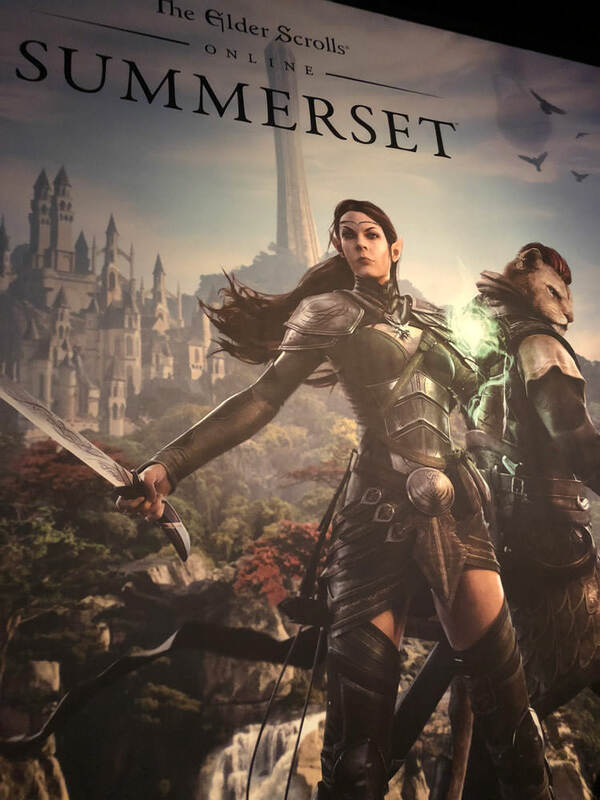 I ran through a zoo where there was a quest about the animals being restless and aggressive, and made it down to Sunhold - a public dungeon filled with Maormer. For new creatures (aside from the ones I mentioned in the Thurs/Fri post) I saw a type of large moth called Feather Moth, reef adders (which looked similar to large sep adders, and they were with the Maormer in Sunhold), a passive creature on a beach that was called something like "mud hopper" which was fishlike and crawled on the ground, and an interesting tall, hulking variety of Maormer (can't remember their name). I didn't try any abyssal geysers, though Dave did and his crashed - they must have not been expecting anyone to try it. I also checked out the interiors of a few buildings, and liked the way they looked; the Alinor home displayed in this week's ESO Live was a good representation of what the interiors of buildings look like. 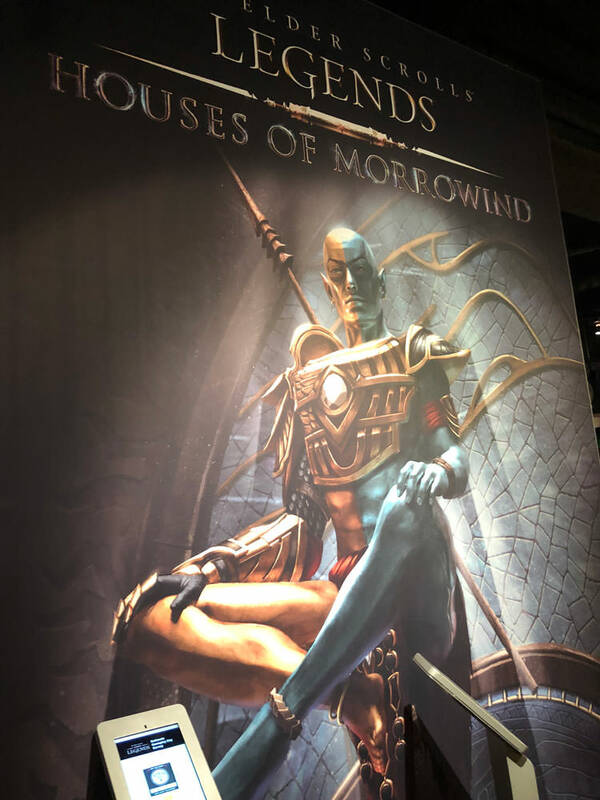 I also made my way at one point over to the Legends area: talked with some of the people there (including CVH and AJ LaSarascina), and tried the new puzzles added with Morrowind, as I'd not had a chance to check those out yet during PAX. Afterward I chatted with Pete Hines a bit. When I reached him he was talking about how they have to budget for all their different types of advertising - shows, trailers, etc - and mentioned how expensive the booths at PAX are, which is why they often like to do events like this one instead: it was a lot cheaper, even with providing the food and drinks. My conversation with him was mostly about licensing. I was curious why Skyrim Monopoly is only available in the UK and Elder Scrolls Risk is only available in Australia; he explained that while Bethesda wants things to be available everywhere, there’s licensing stuff that goes on which sometimes means they can’t (“There’s a monopoly on Monopoly”, he joked), and so things like that might only be available in one region. The novels The Infernal City and Lord of Souls were also a challenge to make them available elsewhere. 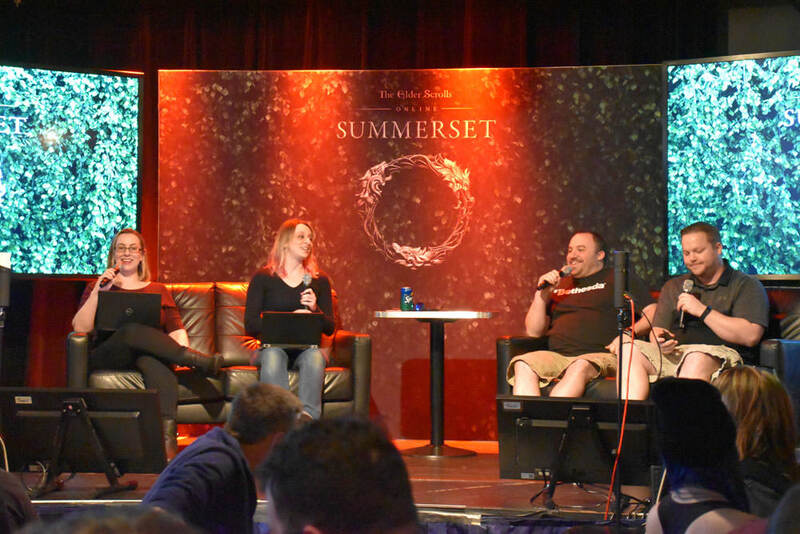 I asked if it was possible that we'd see any other novels in the future and he didn't know; the existing ones were made because Todd had wanted them, but they're somewhat hesitant about things like that because it doesn’t give them the same flexibility that the "unreliable narrator" in the main games does and they need to be careful about what they want to make canon. 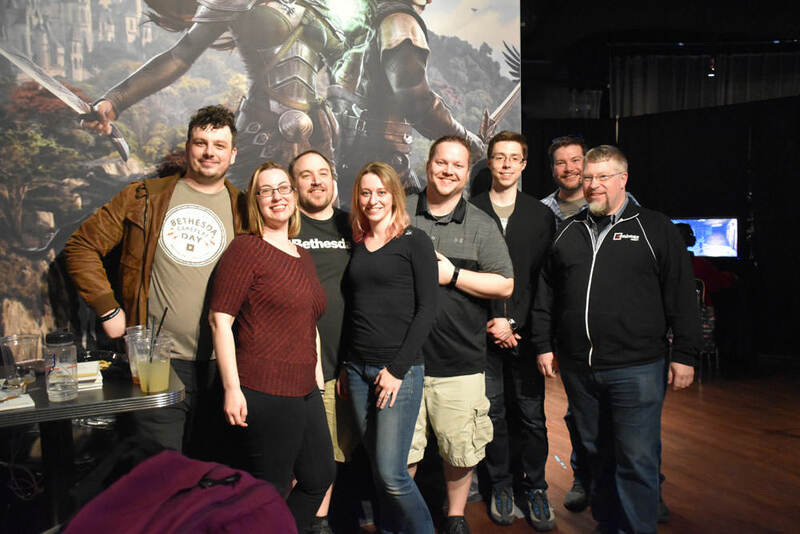 All in all, over the course of the day, we got to meet quite a few members of the UESP as well as other people in the Elder Scrolls community, and Bethesda and ZOS staff as well. 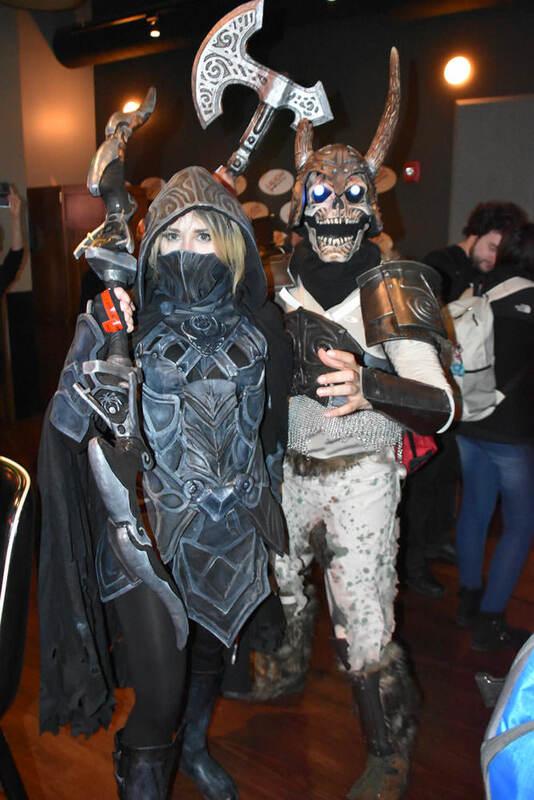 I loved finally getting to put faces to many people who I only knew by name before, and it was a lot of fun to be in a space where everything was devoted to some of my favorite games. 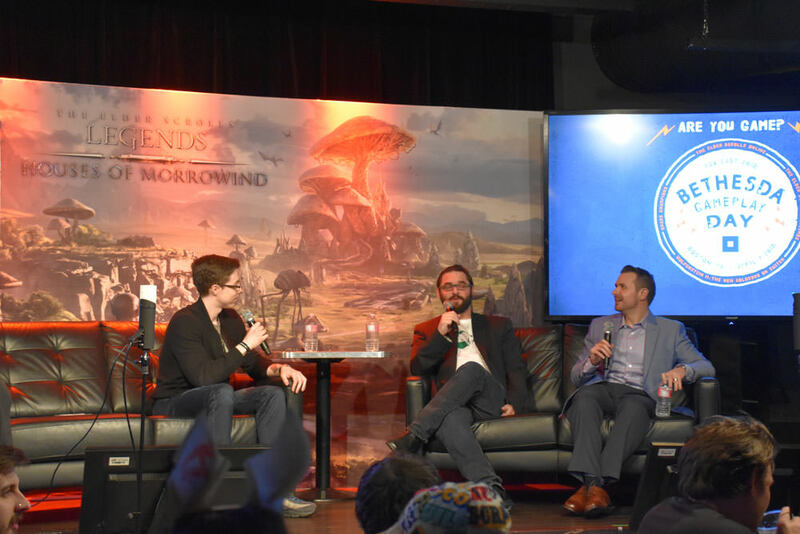 It's really cool that Bethesda and ZOS do events like this to interact so closely with their fans, and I definitely would go again if given the chance.